We live in New England for lots of reasons, starting with most of us were born here. Our expectations are based on what we knew as children — our homes, towns, shopping and recreational activities. We love water sports and in the winter, we love skiing which isn’t something you do if you grow up in Florida. Of course we all know living in New England means dealing with a few winter storms. We’ve got our shovels along with rock salt and sand, to keep our families safe when storms happen. But weather patterns are changing and we’re getting a lot more snow (New England snow records on Weather.com). And it’s not just the amount of snow. We’re also not getting enough warm spells between snow falls to melt the first storms snow before new snow arrives, so it’s piling up higher and higher. So what happens when we get record snow falls & extended cold spells? We know our streets get clogged and transportation bogs down. Last year there was so much snow, that plowing wasn’t enough — it had to be trucked outside the city. We’re less aware that we also get dangerous snow loads on our roofs, and even more often, we get ice dams that cause roof leaks. But once we notice the dripping water or stains inside the house, a lot of damage has already occurred. It means in addition to shoveling snow, you’re going to have to deal with insurance claims and contractors, getting estimates and making repairs. Why ice dams happen in New England. 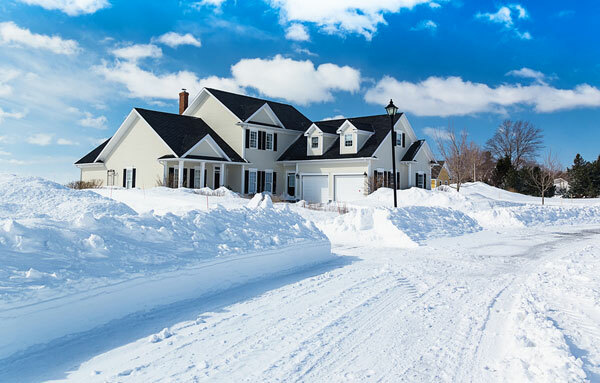 What you can do to lower the risk of New England ice dams. How to remove ice dams from your roof once you’ve got them and how to prevent them from coming back. New England ice dams are the result of many factors, and it might even be related to the age of your house. Massachusetts has the second oldest housing stock in the US, with a median age of 54 years. This is important according to the National Association of Home Builders, as ” … older homes are less energy-efficient” and it’s the heat escaping from your house to the roof, that causes ice dams. Older houses used to leak warm air everywhere but with our focus on energy efficiency, we’ve reduced the loss of conditioned (heated or cooled) air tremendously. Building codes require new houses to be insulated to standards for where your house is located (Read: Insulation 101 for Smart Homeowners) and smart homeowners have been adding insulation to their walls when they get new siding. Insulation slows the movement of air, as physics works to equalize the air temperature between your attic and your warmed home. Sealing large gaps where electrical wires, plumbing, light fixtures and your attic hatch, touch the attic are equally important to stopping air flow. 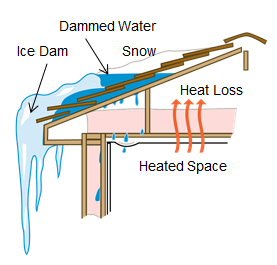 Ice dams are the result of warm air reaching the roof and melting the snow touching the roof. As the snow turns to water, it flows down the roof until it reaches the eaves where the roof is colder. Where the roof is cold, the water starts to freeze and ice dams start to build, along with the icicles you see dripping down from your roof. As more snow melts, the ice dam gets taller and the water starts to back up the roof. That’s where the real problems occur because roofs are only built to shed water flowing down and ice dams cause water to pool and move up. Gravity works against us as the water looks for the easiest path to flow down, and finds gaps and cracks in the roof. So if you’ve had ice dams, you know you really don’t want to ever see them again. And maybe you’ve tried one or more ways of preventing them already, so here are the ones we know work, and some that don’t always work the way you expect. While the ideal solution to preventing New England ice dams is the right combination of insulation, sealing and ventilation, there are still circumstances when you simply can’t prevent ice dams. With many ice dam prevention solutions on the market, you should remember that you get what you pay for. The trade-off you need to make is time and aggravation (insurance claims and repairs) versus money. And don’t assume your homeowner’s insurance will cover all repairs. They might with the first occurrence, and maybe a second time but your rates might go up and they might even cancel your insurance. So the oldest solution is to constantly shovel the snow off your roof, but this isn’t a realistic solution. It would mean staying home all winter, and tremendous physical exercise to climb the ladder and shovel all that snow. Then there’s the risk of falling and/or damaging the roof while shoveling. Ice melting heat cables – provide limited help as the photo above illustrates. Cables may not carry enough heat, and if they do, may not heat a large enough surface to prevent some ice dams. Heated gutter cables – like the heat cables you put on the roof, they run through the gutters to melt water (melted snow) so it can reach the downspout and flow down to the ground. But remember, the water has to reach the gutters before these can help. Ice belt panels – are typically aluminum panels or sheets that are run along the edge of the roof. where you typically see ice dams. They work on many roofs unless there are problems like not enough slope to the roof or constant shade coverage. Integrated roof heating solutions – offer solutions for the roofs edge, or custom solutions that target trouble spots all over your roof. New England Ice Solutions (below) offer aluminum channels delivering heat at the roofs edge, in valleys and along dormers or other multi-level roofs with problems resulting from water melt. Metal roofs – are similar to ice belts, with standing seam panels or metal shingles installed over the entire roof. The interlocking design helps prevent water from penetrating the roof. It’s rare for metal roofs to have problems although a snow retention system can hold snow on the roof. Calcium chloride – in pantyhose or tablets shaped like hockey pucks, can be placed on the ice dams to melt them. Ice dam steamers – can melt ice dams without damaging the roof. They’ve been used in the Midwest for years, and came to the rescue of many New England homeowners in 2015. Other methods – include breaking up ice dams with hand held tools, a hot water pressure washer or chain saw. Take care to avoid situations where anyone might fall or damage the roof from sharp tools, or even walking on brittle asphalt shingles. Guide to removing and preventing ice dams found at Storify. This article on how ice dams occur and how to prevent them from coming back was written by Tina Gleisner. 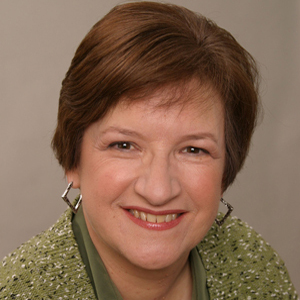 Tina assists women homeowners to save time and money while creating homes they will love. Tina leverages her experience owning 14 houses and running a handyman business for 8 years as the basis for her great guidance.